Amy Gray is a compassionate, practical-minded, effective therapist who specializes in helping her clients get the RESULTS they want in a timely fashion. She blends practical, effective tools with an intuitive, spiritual approach to her work. Amy worked in the private sector for many years and has an unusually strong understanding of the dynamics that affect professionals and their relationships. Amy has extensive training in couples’ and relationship therapy—most notably the PACT approach developed by Dr. Stan Tatkin, the Developmental Model of Couples Therapy by Dr. Ellyn Bader and Dr. Peter Pearson, workplace issues, family systems training and organizational management education. For past trauma Amy uses EMDR . Amy also uses the groundbreaking IFS approach to help individuals overcome personal obstacles and thrive. Amy brings tools, training, education and a lifetime of experience to help guide her clients towards achieving healthy, active relationships with themselves and others, bringing individuals and couples into greater harmony, peace, and abundance. I believe in collaborative therapy, which means that I work together one-on-one with my clients to find solutions to the problems they are having. Most people seek counseling because they are having problems in their lives and want help in making positive changes. I am here to help you set goals and implement those changes and achieve the results you seek. I specialize in counseling and coaching couples and individuals. I design a tailored plan for you based specifically on your needs and objectives, using a number of powerful therapeutic techniques. I believe it is important to have a map of where you want to go, but it is also important to feel free to adjust that map. We work at your pace. If, as an individual, you’re ready to change your life for the better and, as a couple, build, heal and strengthen your relationship, then let’s talk. Copyright (c) 2015. All rights reserved. 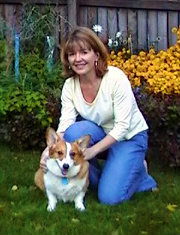 Amy Gray is a licensed professional therapist providing services to the Denver, CO metropolitan area. Centrally located offices in Cherry Creek. Amy is a Licensed Professional Counselor offering couples counseling and individual therapy with offices conveniently located in the Cherry Creek area of Denver, Colorado.